Lieutenant General H.R. McMaster, US Army (Ret.) serves as the Chairman of the Board of Advisors at the Center on Military and Political Power at the Foundation for Defense of Democracies. General McMaster was the 26th assistant to the president for National Security Affairs. He served as a commissioned officer in the United States Army for thirty-four years before retiring as a Lieutenant General in June 2018. 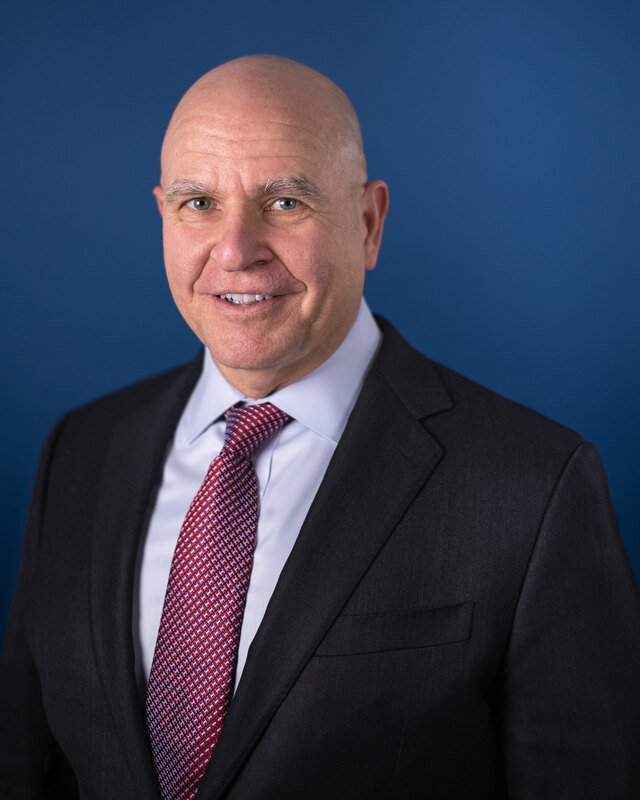 From 2014 to 2017 General McMaster designed the future army as the director of the Army Capabilities Integration Center and the deputy commanding general of the US Army Training and Doctrine Command (TRADOC). As commanding general of the Maneuver Center of Excellence at Fort Benning, he oversaw all training and education for the army’s infantry, armor, and cavalry force. His extensive experience leading soldiers and organizations in wartime includes commander of the Combined Joint Inter-Agency Task Force—Shafafiyat in Kabul, Afghanistan from 2010 to 2012; commander of the 3rd Armored Cavalry Regiment in Iraq from 2005 to 2006; and Commander of Eagle Troop, 2nd Armored Cavalry Regiment in Operation Desert Storm from 1990 to 1991. McMaster also served overseas as advisor to the most senior commanders in the Middle East, Iraq, and Afghanistan. General McMaster was an assistant professor of history at the United States Military Academy from 1994 to 1996 where he taught undergraduate courses in military history and history of the Korean and Vietnam Wars. He also taught a graduate course on the history of military leadership for officers enrolled in the Columbia University MBA program. General McMaster was commissioned as an officer in the United States Army upon graduation from the United States Military Academy in 1984. He holds a PhD in military history from the University of North Carolina at Chapel Hill.